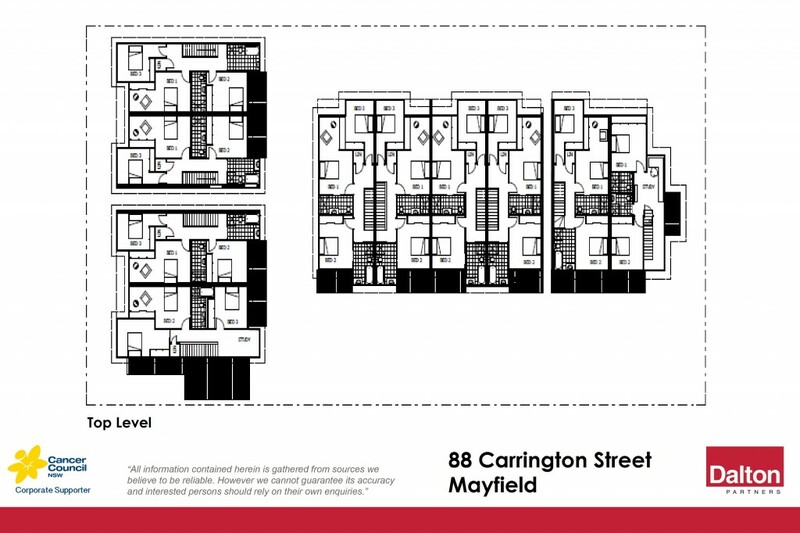 Conceived to maximise light, space and livability, this exclusive collection of 10 contemporary townhomes, located in Mayfield's most desirable street, offers connectivity of city living due to it's proximity to Newcastle CBD combined with all the benefits of life in an up and coming suburb. 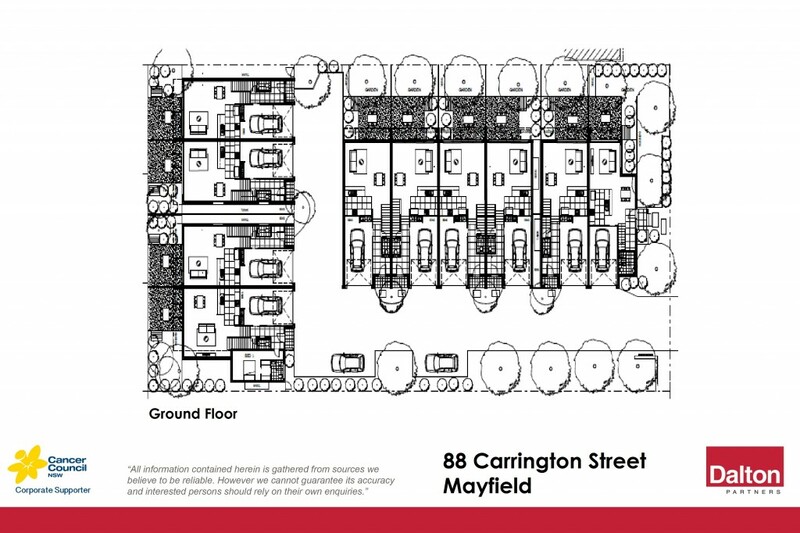 * New Development to be built on 88 and 90 Carrington Street Mayfield. * 9x3 Bedroom, 2 bath and 1 garage townhomes. * 1x2 Bedroom, 2 bath and 1 garage townhome. * Each living space combines contemporary tones with fresh, light classic accents. * Kitchens sit elegantly within the open plan living area. * Kitchens featuring reconstituted quartz benchtops with waterfall edges to the island. * Tiled back splash, gas cooktops, electric ovens and dishwasher. * Bedrooms appointed with built or walk in robes, soft carpet underfoot. * Fully tiled bathrooms and ensuites with wall hung vanities, frameless shower screens. * A selection of upgrades are available including home automation packages, ducted air conditioning and timber oak flooring. * Optional flooring upgrade indicated in images.